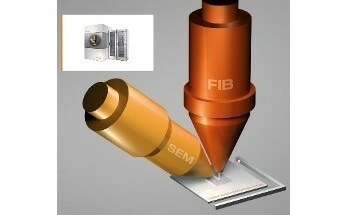 Large-area, ultra-high-resolution 3D SEM imaging applications in chip reverse engineering, life sciences (e.g. 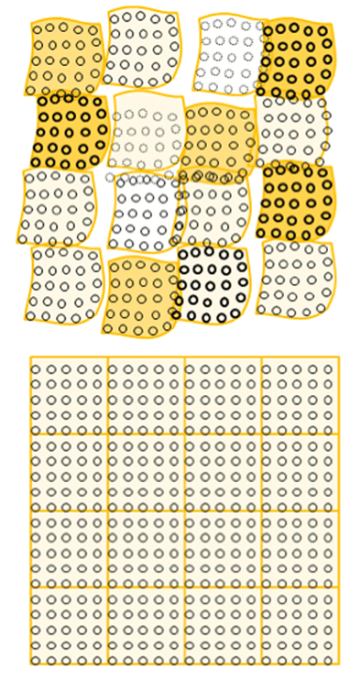 connectomics) and materials science require surfaces of up to cm² areas to be scanned with nanometer resolution and exceptional layer to layer accuracy (‘3D stitching’) for schematic and layout extraction or 3D modeling. Traditional SEM instruments are fundamentally limited by small, uncalibrated fields of view (FOVs) and inexact sample positioning. 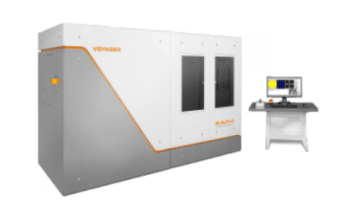 The CHIPSCANNER, on the other hand, addresses these challenges by integrating the flexibility and resolution of an SEM instrument with the stability, accuracy and automation of an electron beam lithography (EBL) instrument. 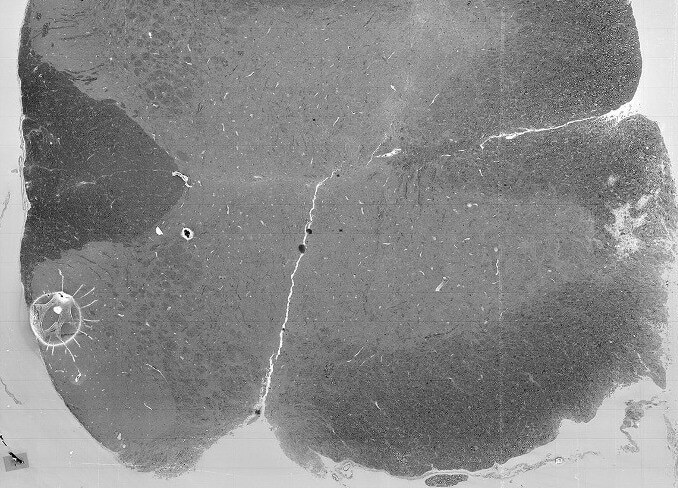 High-resolution, large-area image mosaics are formed by capturing sequential SEM images and stitching them together for additional analysis, while the laser interferometer stage and field-of-view calibration minimize overlap and concomitant computing. 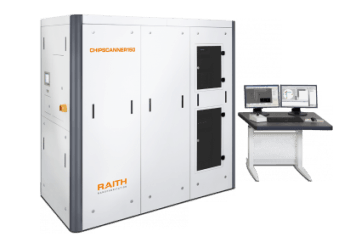 With its unique blend of high-resolution SEM imaging, laser interferometer stage positioning, multiple electron detectors and FOV calibration, CHIPSCANNER creates the most accurate large-area, high-resolution images directly taken by an SEM instrument. Since the absolute position of each pixel even over cm² is eventually known to the accuracy afforded by the laser interferometer stage, these images can be stacked (3D-stitched) with the maximum possible accuracy. 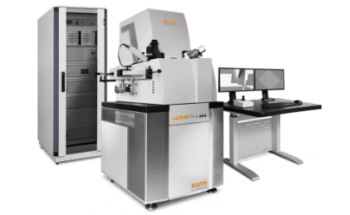 True large-area SEM: The laser interferometer stage and field-of-view correction minimizes overlap and concomitant computing resulting in higher stability and better results. Calibrated image scans of up to 50,000 x 50,000 pixels reduce the number of images and seams while still reducing pixel sizes. Sample pre-leveling technologies, height-sensor-based focus correction and integral temperature stabilization (optional) deliver homogenous large-area image mosaics with least stitching errors. The very high beam current stability additionally supplies very stable brightness/contrast values. 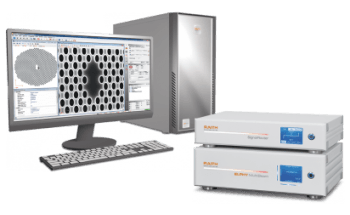 Finally, the ultra-high performance at low kV allows imaging of both sensitive biological samples and charging semiconductors. 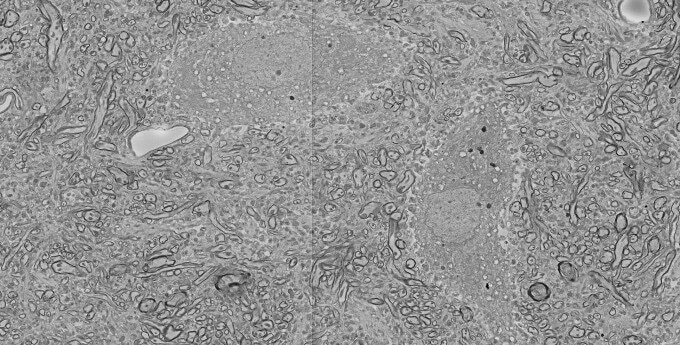 Depending on the particular stage travel range, multiple samples can be loaded and image mosaics can automatically be derived without user interaction. 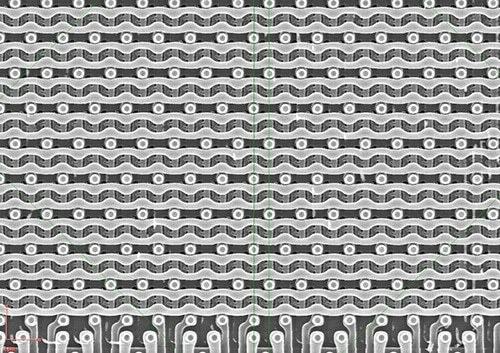 Software tools are available to extract and enhance valuable GDSII-CAD data from the images for additional semiconductor processing. 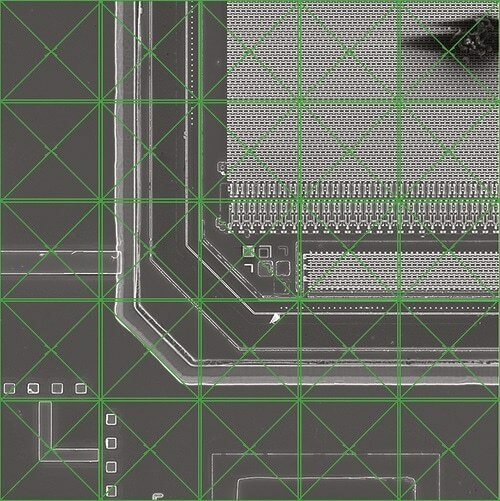 With its stability, high accuracy and resolution, CHIPSCANNER is the ideal large-area imaging SEM solution whenever a high-resolution SEM image analysis of large areas is desired, for instance in biological applications such as brain mapping or IC reverse engineering applications.